In Sydney, we are lucky enough to have lots of great shore dives that make scuba diving relatively inexpensive sport. Once you get your gear you pay $10 for an air fill then the ocean is FREE! There are a few tricks of the trade to make shore diving easier, and I thought I would share them with you. Really, it is all about the entry and the exit. Lesson 1- Check the site before you gear up. Before you put your gear on have a look at conditions. You do not want to get up walk down and then find the sea is too rough, and you should have gone to another site. Lesion 2- DO not put your fins down. When you get to the water’s edge and are getting your mask on, etc. make sure you do not put anything down. The waves may come up and take anything you put on the shoreline away. Hold your fins between your knees if you need both hands. When putting your fins on lean the side you are lifting. 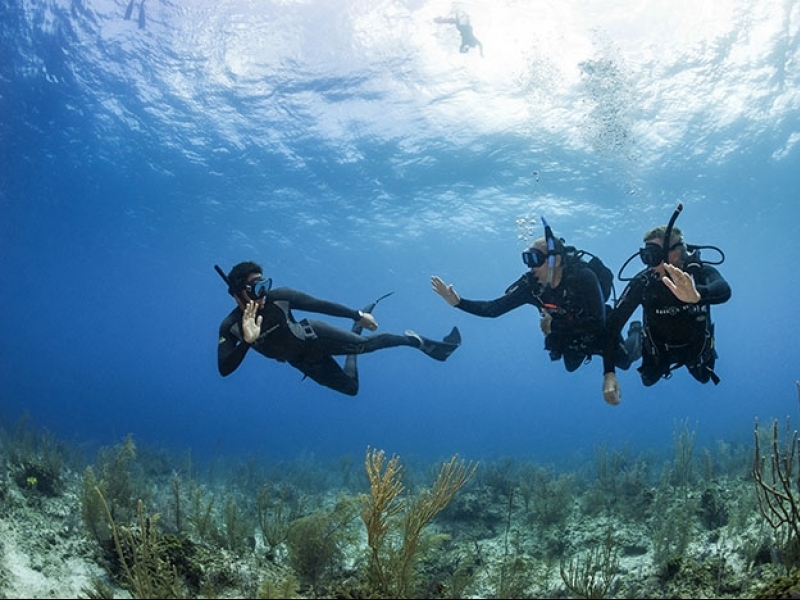 So if your right leg is up your left hand should be putting your fin on and your right hand should be on your buddies shoulder so you do not fall over. Lesion 3 -Do not forget anything. Before you walk to the water’s edge make sure you have everything you need, make sure your tank is full and do your buddy checks. Once you get in the water it is a bit annoying if you have not got your weights. Lesion 4- There is no boat to pick you up so try not to get lost. New divers are generally nervous about navigation. Finding the exit can be a little tricky at first but with practice, it does get easier. The best way to learn is to give it a go. Before you get in the water check out dive site information at. When standing on the shore look at your compass so you get a bit of an understanding of what way is back to land. Remember landmarks and depths… give it a go. It is the only way you will learn. Lesson 5 – Learn to crawl. Once you have done your great dive it is time to exit the water. This can be the trickiest part of the dive as you cannot see what is happening behind you. The best bet is to crawl. You are stable on all fours so if a wave comes from behind you will be right. You do not want to stand up till you are out of the shore wave zone. I recommend gloves for all exits, your hands are soft after being in the water and you do not want to cut them when you are crawling. 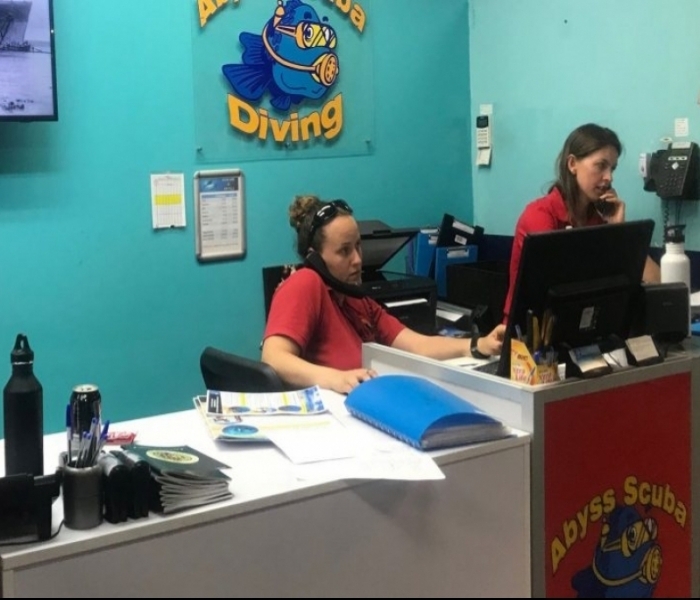 So come along on one of the free divemaster lead shore dives Abyss Scuba Diving run every weekend.